After an accident, you will most likely find yourself dealing with an insurance company, whether under your own PIP/no-fault coverage or against the at-fault driver or other party in a negligence claim. When dealing with any insurance company, being represented by a skilled and experienced insurance bad faith attorney is key to being dealt with properly and receiving a fair amount of compensation on your claim. Attorney Louis P. Mendonca is your voice in all insurance company dealings, from negotiating a settlement to litigating a case all the way to a jury verdict. Louis P. Mendonca, Attorney at Law, is also your source to resolve an insurance coverage dispute, or to hold an insurance company accountable when they engage in bad faith insurance practices. Just because you or the other driver has insurance coverage up to a certain limit, the insurance company is not likely to offer you the full amount of benefits right away. On the contrary, insurance companies are very quick to make a much smaller offer very soon after an accident in an attempt to settle the matter quickly. The problem is that you probably do not have an accurate picture of what your damages are at this time, particularly if you have not spoken with an insurance bad faith attorney yet. Initial insurance offers to an unrepresented person are nearly always considerably less than what a skilled attorney can obtain on your behalf. On the other hand, when the insurance company sees that you are represented by an experienced attorney who has successfully obtained good results for his clients, they are much more likely to deal with you fairly and negotiate an acceptable settlement rather than have to face a jury in court. Louis Mendonca has been representing injury victims in Hawaii for over 25 years and has obtained hundreds of settlements and verdicts for his clients. Do You Know if the Insurer is Treating You Fairly or is in Bad Faith? Good faith disputes over issues of liability and damages are to be expected in certain insurance claims. 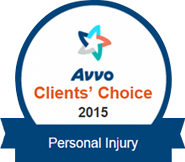 Insurance companies should investigate claims and only pay valid claims at appropriate amounts. But sometimes insurers and claims adjusters do not operate according to the principles of good faith and fair dealing which are implied in every insurance contract. When an insurance company’s actions are in bad faith, they can be sued for misconduct and forced to pay compensation for the damages they have caused. Don’t let the insurance company take advantage of you. 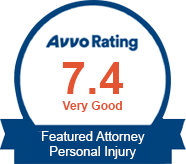 Level the playing field by hiring an experienced and dedicated personal injury attorney who knows all the insurance company tricks and tactics, and will work to make sure you get the compensation you deserve. On the Big Island, contact Louis P. Mendonca, Attorney at Law for a free consultation, in Hilo at 808-961-6690.